WE ARE YOUR GO TO SHOP for TURNKEY SOLUTIONS! In today’s complex machining world, turnkey services with solutions and systems capacity for scaling to meet manufacturing needs are critical. Reverse Engineering – Your lab relies on certain equipment, some of which is no longer in production or otherwise available. RS Solutions can help you reverse engineer the product, create a bill of materials, source parts, make parts, and assemble the final product. Custom Test Fixtures – You have the equipment but there just isn’t a practical method to hold the device. 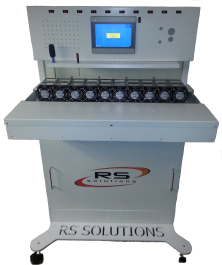 RS Solutions will provide you with a custom one-off test fixture to fit your exact test parameters. We can develop the entire fixture or any part of the fixture to fit into your existing design. Our 3D Modeling capability allows development and ease of design changes as we discover requirements. We work directly with engineers to expedite prototype manufacturing. Our state of the art CAM software and fixture capabilities allow us to plan, design and qualify CNC programs efficiently and timely. Our customers expect excellence. We deliver it. High-quality harnessing is an absolute must for reliable test results. RS Solutions will work side by side with you to develop the exact harnessing required for your application. We’ve proven our worth. 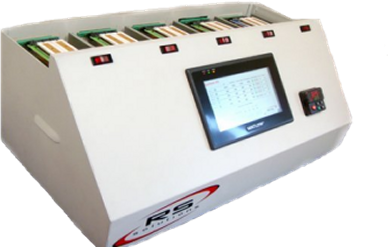 Utilizing RS Solutions systems, experience and supply chain base relating to our sockets and Thermal Systems, we can provide turnkey services with SOLUTIONS for YOUR PROJECT. Let us help you design the perfect system for you.